The Leica EG1160 Embedding Station is a compact bench-top, microprocessor controlled system programmable in 5 languages. The easy-to-read LCD display with paraffin quantity level indication shows all essential usage and programming parameters. It is programmable for work day, work starting time, work end time, real time and day of the week. The Leica EG1160 Embedding Station entire workspace is illuminated. Battery-buffered memory ensures programs are retained if power is lost. The Leica EG1160 Embedding Station working surface, cassette bath, mold warmer and 3-liter paraffin reservoir are individually temperature-adjustable. 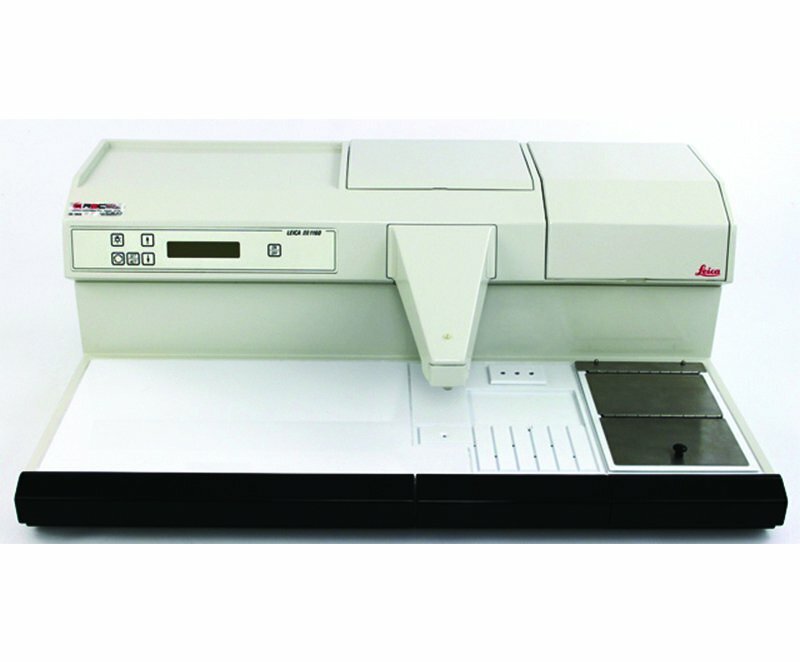 The 3-liter paraffin reservoir has a temperature range from 45 degrees C to 70 degrees C.
The Leica EG1160 Embedding Station has a cassette bath that holds approximately 100 cassettes, a heated recessed area that holds 8 cassettes, and an ample cold plate that holds at least 60 blocks at -5 degrees C. A Peltier cold spot is integrated into the cold plate. Paraffin flow is accomplished manually or with an optional foot switch.